James Mace embarked on the most important project of his life and accomplished it in the 1980s. Everything he did later pales in comparison and is starkly contrasted to his time of glory. He burst into Ukrainian history and will remain there forever. My story is about James Mace in the 1980s. The following is not a memoir, as I met him only in the late 1980s. It is a study focusing on the scholarly feat achieved by James Mace. In order to assess what Dr. Mace accomplished, one must try to imagine what our society knew about the year 1933, at a time when any mention of famine was prohibited. On May 14, 2003, the Verkhovna Rada of Ukraine held a special session to pay homage to the victims of the 1932-33 Holodomor. A message to the Ukrainian people was adopted, including the following momentous statement: “Today, we may state with certainty that the first truthful words about the Holodomor of 1932-33 played a notable role in the national renascence; they were among the important factors that led to Ukrainian independence.” This statement should be regarded as the positing of a problem that until now has never before drawn the attention of historians. Ukrainian citizens still remember the events of the late 1980s. At the time, the hair-raising truth about the Holodomor was made public for the first time. By comparing the scope and sequence of those events, we can see that information about the 1933 famine and other atrocities committed under Stalin were a tangible factor in transforming the bureaucratic campaign of perestroika into a national revolution. The point is not the famine, a fact known by one and all, but its scope and causes. The members of the generation that was victimized by the famine terror had no doubts that they were being taught to do the right things, according to Stanislav Kosior. After all, the famine terror was perpetrated precisely in order to teach the peasantry to work well not only on their private plots but also on collective farms (known as artels). However, the generation born in the second half of the 1920s, and later, knew nothing about the causes of the famine. This generation gap first manifested itself in the years of WWII. We all know the negative stand taken by a large number of veterans of the “Great Patriotic War,” especially those who head war veterans’ organizations. with regard to the elucidation of facts connected to the war in modern school textbooks and research papers. This complicates the practical endeavors of historians who are striving to eliminate Soviet stereotypes. Modern veterans represent the younger postwar Soviet generation; these are individuals who were between 16 and 20 years old during WWII. The middle and older generations in this period, who shouldered the immense burden of the war, are no longer among the living. However, owing to their numerical superiority, it is precisely those generations that determined the Red Army’s morale. Whereas the younger generation was raised in the communist spirit, the members of the older one mainly abided by their life experience, packed as it was with ideological terror, mass purges, and deportations — above all by memories of the horrendous Holodomor. The elders, however, were in no hurry to share this experience with the youth, as they wanted to protect young people from the state security [e.g., NKVD/KGB] functionaries. Some, thinking mostly of defending their Fatherland, rather than the polity, courageously resisted the Wehrmacht and made Hitler’s blitzkrieg impossible. Others refused to defend the criminal Stalinist regime; those people would avail themselves of the first opportunity to give themselves up to the Germans. Most Soviet officers and men found themselves taken prisoners of war in the first period of WWII, before November 1942 (the Germans captured a total of 5,200,000 people before November 1944). After the Red Army troops realized that Nazism was threatening to physically destroy the people, they stopped surrendering to the Germans and began to fight, not for the Soviet state but for their homeland. After WWII, generations that were raised by the Soviet government were predominant among the USSR citizenry. Three main factors influenced their mentality and conduct: first, complete dependence on the omnipresent state that closely monitored everyone, while taking care of all citizens; second, the upbringing of people and their education, starting from the kindergarten level, and propaganda, which portrayed this dependence as the greatest achievement of the new socioeconomic system; and third, fear of the omnipotent, punitive authorities that were keeping close watch on all their citizens to make sure that everyone observed the rules of conduct that the state recognized as the only feasible ones. These three combined factors operated in a way that people were mostly unaware of their existence. In fact, the state instilled in the citizenry an instinctive sense of being subordinated to the state. As a result of this closed society, almost no one knew that one’s daily life could be different. Those that knew and tried to resist were physically destroyed under Stalin; later they were branded as dissidents. Events pertaining to the inter-war period were recounted in keeping with the canons of Stalin’s brief course of training, as laid down in The History of the All-Union Communist Party (Bolshevik). Any public mention of the 1933 famine in any form (even a notice reading that so-and-so’s parents or relatives died of starvation) was considered an anti-Soviet trick. Under Stalin, this meant a term in a prison camp; after the liquidation of the GULAG, it spelled “preventive treatment” by the KGB. Every Soviet citizen knew only too well that the notions of the 1933 Holodomor and anti-Soviet propaganda were interrelated. Everyone had an inner censor helping him or her to survive and stay out of trouble. In order to understand how information about the 1933 Holodomor existed in the consciousness of the Soviet people, it is especially important to know the following: information was fragmentary, incomplete, and unreliable, with confusing cause-and-effect relations that did not allow one to properly grasp the very fact of the famine. No one except the architects could determine its scope. At the time even communist functionaries outside Ukraine did not have a clear picture of the Holodomor. Nikita Khrushchev remained silent about the crimes that he committed under Stalin, but tried to be sincere in his memoirs. In the early 1930s, he was second secretary of Moscow’s city and regional All- Union Communist Party committees. Referring to that period, he wrote that bits and pieces of information were reaching Moscow about Ukraine being in the grip of famine, but he could not personally imagine a situation like that. He had left Ukraine in 1929, when food supplies were adequate. Now there was famine. Why? He could not fathom the number of victims, although some information had appeared in the “bourgeois press,” and now and then the Western media would carry articles about the Soviet collectivization campaign and how much it was costing in terms of Soviet lives. He wrote that he could say such things now, but that he knew nothing at the time; secondly, even if he had known, there would have been explanations like sabotage, counterrevolution, and kulak resistance that had to be combated, and so on. Nikita Khrushchev apparently had his explanations even when the government was directly responsible for the famine. “Food supply complications” in 1932-33, although acknowledged, were attributed to “kulak resistance,” despite the fact that the kulaks had been destroyed or deported twice over, in 1929 and 1931. In carrying out their social and technical reconstruction programs, the Bolsheviks resorted to the well-developed pseudo-Marxian phraseology known at the time as Marxism-Leninism. For all of us raised in the spirit of Bolshevist ideology, ranging from Nikita Khrushchev to a junior research fellow (in my case), notions such as kulak, petty bourgeoisie, and class struggle were ripe with meaning. The kulak was by definition a class enemy. The enemy had to be destroyed, unless he surrendered. Everybody knew the axiom introduced by the great proletarian author Maxim Gorky. Socialism was born in rivers of human blood, but we were convinced that this was normal. In 1966 I began to study the financing process behind the Soviet industrialization campaign. Ten years of study allowed me to trace the roots of the economic crisis accompanying the postwar modernization of the economy. In the archives of the highest bodies of the state and administrative authorities, there was no mention of famine (such topics were dealt with in special hush- hush files to which I had no access). However, the overall picture of economic devastation, combined with spectacular progress in carrying out giant industrial projects, was clear enough. This knowledge was superimposed on information about the 1933 famine, which was generally known but not clearly outlined. To me, its gigantic scope was undeniable. Elsewhere I have written that I still have a scrap of paper with simple arithmetic calculations from the 1960s, which show population losses, based on a comparison of central and local ministerial statistics. It all added up to the fact that the Ukrainian Soviet Socialist Republic had acquired a population deficit of at least three million in 1932-33. True, at the time I was unable to distinguish between the Holodomor of Ukraine-Kuban (where all foods were confiscated) and the famine that befell other Soviet territories (where only grain was taken away). I had a better idea about the reasons behind the USSR’s abominable economic situation, but it never occurred to me that my country, ruled by workers and peasants, could ever resort to a famine terror against its own peasants. In the Soviet period I would often write reviews of texts dealing with the Holodomor. Those texts were written by authors who were known in our country as “Ukrainian bourgeois nationalists,” or by foreign authors who had written books commissioned by top- level communist functionaries, in which the nationalists were branded as falsifiers. It is easy to understand the nature of my reviews at the time, considering that we regarded members of the Ukrainian Diaspora as though we were looking at them through a sniper’s scope. However, such propagandistic products were well paid for and of top quality. One example is William Randolph Hearst’s Russian Famine. I still have a copy of that review (at the time reviewers were not allowed to know authors’ names). While studying the Holodomor in the second half of the 1980s, I remembered my impressions from sources that I first investigated in the second half of the 1960s. Twenty years later, I was seeing them in a different light. Now I could see them for what they were; now I understood the kind of society I was born and raised in. 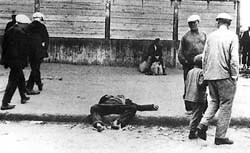 The Soviet government had openly resorted to a famine terror, begetting the 1933 Holodomor. Local newspapers carried articles with vivid details of an “organized public” (e.g., committees of impoverished peasants) searching prosperous farmsteads and confiscating all the food and grain that were stored for the next harvesting campaign. Marxist-Leninist indoctrination was not the only factor preventing the Soviet people from seeing things they were looking at with wide-open eyes. There was also fear. This fear was vaguely outlined, at the subconscious level, but quite real. Indoctrination through education merged into a single whole, together with fear stemming from the purges that were regularly carried out by the powers that be. There emerged a conceptual and behavioral stereotype that is incomprehensible to modern youth or to foreign researchers specializing in our history. Why should the May 14, 2003 message of the Verkhovna Rada stress that the truth about the 1933 Holodomor was an important factor in achieving Ukraine’s independence? Like iron rings, the purges and Ma rxist-Leninist doctrine, which was constantly hammered into people’s minds, bolstered the communist system sired by Vladimir Lenin and Joseph Stalin. Mass repressions petered out after Stalin’s death. The doctrine was gradually dying in people’s minds. The Soviet past had a great many skeletons in its closets, which began to emerge after Gorbachev’s announcement about the perestroika, glasnost, and new-way-of-thinking campaigns. However, none of those skeletons had a crucial impact on the indoctrinated man’s consciousness, as did the truth about the 1933 Holodomor. I know from my own experience. When I realized that the Holodomor was the result of a terror by famine, all of my indoctrination evaporated at once. A simple question came to mind: Why should life in Ukraine depend on decisions made outside its borders? There was one lucid answer to that question: No matter what decisions were made, whether well intentioned or not, one should not tempt fate but live by relying on one’s own intellect. As Stalin proceeded to exercise his terror by famine, the issue could not be raised, not even at a sitting of the Politburo or at a plenary meeting of the Central Committee of the All-Union Communist Party, let alone the Communist Party of Ukraine. Not because such information could ever become public knowledge, as all such records were stored as top-secret party documents. Millions of people knew only too well that they were starving. Terror by famine could only be implemented by placing a ban on discussions of the famine. When organs of the party had to operate during the famine, for example, keeping track of those who were dying of starvation and burying their bodies, such records were stored in top-secret files. Stalin’s veto on the subject of the famine remained in effect even during subsequent years. Everyone grew accustomed to the fact that the famine could not be mentioned by name. At first, this habit was maintained by constant purges. When they ground to a halt, the habit remained. I can testify to this through my own life experience. In the summer of 1966, Yuri Smolych, President of the Ukrainian Association for Friendship and Cultural Relations with Ukrainians Abroad, commissioned a colleague of mine and me to write a series of articles on Soviet Ukraine’s economic growth for the newspaper Visti z Ukrayiny, commemorating another official jubilee. This newspaper was targeted ethnic Ukrainian communities and was practically inaccessible to the domestic reader. Petro Shelest, First Secretary of the Central Committee of the Communist Party of Ukraine, perused every issue, assigning primary importance to its propaganda value. He understood that propaganda had to be convincing, so when it came time to compose such articles, he instructed the authors to mention the 1932-33 famine in the Ukrainian countryside when dealing with the collectivization period. The manuscript containing the famine paragraph was checked and rechecked by authorities for a year. No one dared authorize its publication with or without that paragraph, and none dared to ask the first secretary to sanction it in writing. The fiftieth anniversary of the Ukrainian SSR was getting closer. In the end, the newspaper carried the article, without the explosive paragraph. Hushing up the famine lasted till the end of 1987. Even as late as November 2, 1987, censors and researchers specializing in social studies were led to understand that they should act according to Mikhail Gorbachev’s jubilee speech entitled “October and Restructuring.” The father of perestroika declared, among other things, “Taking a sober look at history, considering all of the internal and external realities, one cannot but ask oneself whether or not it was possible to set a different course under those conditions other than the one proposed by the Party. If we want to remain on the positions of historicism, the truth of life, there can be only one answer: No, it was not possible.” However, the “truth of life” asserted in the jubilee speech was incompatible with the truth about the famine. Less than two months later, it came time for CC CPU First Secretary Volodymyr Shcherbytsky to deliver a speech in conjunction with the 70th anniversary of the establishment of Soviet power in Ukraine. For the first time in 55 years, a member of the CC CPSU Politburo mentioned the 1933 famine, breaking Stalin’s taboo. How can this difference in the stands of two members of the Soviet political oligarchy be explained? Why did the liberal Gorbachev turn out to be more conservative than Shcherbytsky, who was the personification of Brezhnev’s period of stagnation? There is only one answer. A new factor had emerged in the sociopolitical life of Ukraine, now a stormy sea created by perestroika. That factor was the North American Diaspora. The impact of the Ukrainian immigration on the political situation in Soviet Ukraine became possible because it had succeeded in conveying the truth about the famine of 1932-33 to the governments and public of their countries of residence. In 1983, a national committee to honor the victims of the genocidal famine in Ukraine (1932-33) called Americans for Human Rights in Ukraine (AHRU) was established in the United States. The head of this committee, Ihor Olshansky, studied the records of the US Congressional Holocaust Commission and proposed a similar commission to deal with the Ukrainian famine, primarily for research purposes. New Jersey Senator Jim Florio and Senator Bill Bradley supported the idea, as there were many ethnic Ukrainians in the electorate. Florio then submitted a bill. In many respects, the 50th anniversary of the Holodomor marked a turning point in the West. For the first time the North American public became aware of scholarly support. The University of Alberta in Edmonton already had the Canadian Institute of Ukrainian Studies and there was the Harvard Ukrainian Research Institute founded by Omeljan Pritsak. In 1983, the University of Quebec (Montreal) held a conference dedicated to the Holodomor. Mainly young researchers, Harvard graduates specializing in Soviet Ukrainian history, prepared the pertinent reports. Bohdan Kravchenko, M. Maksudov, James Mace, and Roman Serbyn made the most substantial presentations. The fiftieth anniversary of the Holodomor thus highlighted the following key points: whereas the Ukrainian community in the US and Canada launched an extensive campaign to mobilize public opinion in their countries and elsewhere in order to be heard, the Communist leadership of the USSR and Ukraine re-imposed a Stalinist gag order on any information about the Holodomor. This ban was originally explained by the technology of organizing the terror by means of a famine and subsequently by the understandable desire to conceal this crime. The Ukrainian community sought not only to blow the lid off Stalin’s most heinous crime but also to make the US Congress issue an official statement on this matter. The Communist leadership in Moscow and Kyiv chose a tactic typical of the period of stagnation: turn a blind eye to the problem and hope that it will be resolved by itself. The report by Kapto and Mukha, which was applauded by Shcherbytsky on February 15, 1983, proposed utterly ineffective “countermeasures,” portraying as a major achievement the publication in 1982 of some 150 interviews, articles, reports, and essays about the benefits of collective farming, the food rationing program, and social development of the countryside, which appeared in the newspapers Visti z Ukrayiny and News from Ukraine, in the press bulletin of the Ukrainian Association for Friendship and Cultural Ties with Foreign Countries, and the bulletin of Ukraine’s Radio and Telegraph Agency. As the authors later wrote with a knowing air, “In our opinion, it is worth continuing the active propagandization of the achievements of the collective farming system.” This is how they were going to mark the fiftieth anniversary of the Holodomor — by lauding the advantages of a country that never stopped buying food from the West. Between 1972 and 1982 the Soviet Union spent 1,937,500 tons of gold on food imports, as a result of which its gold reserve was reduced from 1,744 tons in 1972 to 576 tons in 1982 (these statistics were first published by Rudolf Pikhoya [former director of the Russian State Archival Service — Ed.] in his book The Soviet Union: The History of Power. 1945-1991, Moscow 1998). A country that touted its collective farming system was forced to import food so as to prevent famine. Food was imported in such quantities that the gold mining industry could not produce enough gold to offset import costs (even though the USSR had the world’s second biggest gold mining industry), and the gold reserve was being depleted at a catastrophic rate. The Ukrainian community abroad employed the potential might of historical science to fight Soviet propaganda in the West. In 1981 the community sponsored a three-year project to study the Holodomor of 1933 at the Harvard Ukrainian Research Institute. The English scholar Robert Conquest, who specialized in researching Stalinist repressions, headed the project. His book, The Great Terror, earned wide acclaim among both specialists and the international public. In his search for sources Conquest relied on his 29-year-old assistant James Mace, who had just defended his doctorate, “Communism and the Dilemmas of National Liberation: National Communism in Soviet Ukraine, 1918-1933,” at the University of Michigan (a book of the same name was published in 1983 as part of the Harvard Series in Ukrainian Studies). Mace explained his involvement in this project by the need to help Conquest quickly prepare a book about the Ukrainian Holodomor. He knew all the sources available in the West and the historical context connected with this research project. He also pursued a new direction in the study of sources known as “oral history.” Interviews with surviving victims of the Holodomor of 1933, whom fate had brought to the West, proved to be an excellent new source when organized properly. This was an extremely important undertaking, given the fact that Soviet archives were inaccessible to Western researchers. The passage of bills in the US Congress is a slow process, and most of them never leave the committees and subcommittees of the House of Representatives and the Senate, and never become laws. Every two years half of all members of the House of Representatives face reelection, and all bills that have not been considered must be resubmitted. The bill to create a temporary congressional commission on the Holodomor of 1932-33 in Ukraine, which James Florio submitted in November 1983, one year later bore the signatures of 123 members of the House of Representatives. However, Democratic Party leaders in the House would not agree to submit this bill for consideration, asking, “Why spend American taxpayers’ money to shed light on something that happened some fifty years ago?” Then the Americans for Human Rights in Ukraine (AHRU) launched a campaign with the motto “Grassroots” in all states with large Ukrainian communities. Congressmen, chairmen of congressional committees and subcommittees, House of Representatives Chairman O’Neil, and US President Reagan began receiving tens of thousands of individual and collective petitions. Never before or since did American Ukrainians organize such an extensive campaign. In March 1984 Senator Bill Bradley submitted the same bill to the Senate. AHRU Deputy Director Myron Kuropas was very influential in numerous Ukrainian communities in Illinois. At one time he actively campaigned for Illinois Senator Charles Percy, who later chaired the Foreign Affairs Committee. Therefore, the passage of the bill in this Senate committee did not encounter any obstacles. The first hearings were held in August 1984 and ended on a positive note. Speaking on behalf of AHRU, Ihor Olshaniwsky said that time does not wait: the surviving Holodomor victims were old and weak, and it was crucial to collect their testimonies as soon as possible. The Foreign Affairs Committee — and two days later all the senators — unanimously approved the bill. The senators, however, deemed the commission’s budget (4.5 million US dollars for two years) too large and reduced it more than tenfold to 400,000 US dollars. Meanwhile, the passage of the bill in the House of Representatives encountered difficulties. Foreign Affairs Committee Chairman Dante Fascell didn’t want to provoke Moscow’s wrath, and subcommittee Chairman John Mica sided with him. There was a danger that the 98th Congress would not be able to consider the bill before its term ended. Then everything would have to be done all over again. Yet the Foreign Affairs Committee did not submit the bill lobbied by the Ukrainian organizations to the House of Representatives. Bill Bradley saved the day by exercising his right as a senator to amend the budget and append the funding provision for the temporary commission on the Ukrainian Holodomor to the Funding Resolution of Congress (namely the budget law). This proved to be a successful move. Before the end of every session both houses of Congress must approve — and the president must sign — the Funding Resolution, which enables the government to spend budget money. Without this procedure the government would be left penniless. Whenever there are disagreements between the House of Representatives and the Senate over budget items, Congress’s term is extended until agreement is reached. Both legislators and representatives of the executive tried to avoid such a turn of events. Congressman Daniel Mica, the man who opposed its creation in the first place, chaired the Congressional Commission on the Ukrainian Famine. At the insistence of AHRU, James Mace was appointed its executive director. Nobody expected the research team of six Ukrainian-studies scholars headed by James Mace to obtain convincing evidence of Stalin’s greatest crime, given the commission’s short mandate. The team had at its disposal a limited number of archival documents that the Germans removed from the USSR and which were brought to the US in the postwar years. But instead of archival sources the researchers used recollections. The young American historian Leonid Herets began collecting them in 1984. The methods that he and Mace developed were a sort of sociological survey turned toward the past. Superimposed on one another, the testimonies compensated for the subjective nature of individual recollections. In this way they became a fully-fledged source. The research group worked quickly and efficiently. I don’t know if the leaders of Soviet Ukraine saw the commission’s first report to Congress, which James Mace circulated in 1987. In any case, Ukrainian-language newspapers in North America covered it extensively, and the Communist leadership in Kyiv was closely following these articles. As I already mentioned, after this Shcherbytsky was forced to recognize the fact of the 1933 famine. The congressional commission published its second interim report in early 1988. At the same time, James Mace prepared a summary of the report and on March 30, 1988 sent it to Oleh Diachenko, first secretary of the Soviet Embassy in the US. The Foreign Ministry of the Ukrainian SSR received this summary, and together with a covering letter from Deputy Foreign Minister Anatoliy Zlenko it was handed over to the History Institute of the Academy of Sciences of the Ukrainian SSR. The Institute in turn began researching the Holodomor on the basis of archival sources. In early 1988 the commission prepared its final report and presented it to Congress on April 22. It was almost entirely written by James Mace. In late July that year, a 524-page volume in brevier type was printed by the US Government Printing Office in Washington and began to be distributed worldwide. Three years of research by the US Congress/Commission on the Ukraine Famine of 1932-33 were boiled down to nineteen conclusions in this report. One of them is: Joseph Stalin and his entourage committed genocide against the Ukrainians in 1932-1933. In 1990 the US Government Printing Office in Washington printed three volumes of testimonies, a total of 1,734 pages in brevier type, for the use of the Commission on the Ukraine Famine. It is a collection of transcripts of testimonies of 210 surviving victims of the Holodomor. Most of the witnesses wished to remain anonymous, fearing persecution of their relatives in the USSR. Every narration was supplemented with bibliographical notes, which was of great significance when the testimonies were analyzed. The testimonies were published in the language of the interview, mostly Ukrainian. Since witnesses answered similarly worded thematic questions, we can carry out a monographic analysis of every issue behind every question. Ukraine still has no adequate source of its own based on such recollections, even though much has been published. Perhaps it will never have one: how many more people are still among us who have fresh memories of the year 1933? Addressing a government commission created in advance of the sixtieth anniversary of the Holodomor, I proposed reprinting the four volumes produced by James Mace’s commission because of their exceptional scholarly significance. At the time this proposal fell on deaf ears, for everyone remembers the plight that Ukraine faced in 1993. In 2003, when the seventieth anniversary of the Holodomor was observed, a new government commission headed by the prime minister planned many specific activities. Most of them have been implemented. In particular, the Institute of Ukrainian History at the National Academy of Sciences of Ukraine managed to prepare and publish a comprehensive collective study titled The Famine of 1932-1933 in Ukraine: Causes and Consequences under the editorship of Volodymyr Lytvyn, member of the National Academy of Sciences of Ukraine. It is a large-format publication of 936 pages, including 48 pages of illustrations. James Mace wrote two out of the fifty-eight subsections in this unique book. Arguably the most important undertaking in the commission’s plans is the construction of a memorial complex with a monument to Holodomor victims, as well as an archive, library, and research center. The commission has already found money for the memorial, but this year’s budget provides no funding for the other plans. 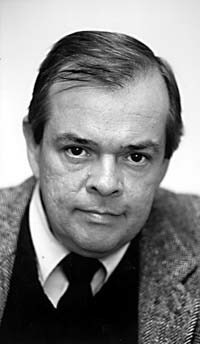 Funds have yet to be found for the publication of the four volumes that James Mace published in Washington in 1988 and 1990. The main result of governmental and public activities timed to coincide with the seventieth anniversary of the Holodomor is an understanding of the fact that the many aspects of this problem should be addressed on a permanent basis and not only prior to important anniversaries. A major aspect of this problem is the need to convince the international community of scholars and the public at large that the famine in Ukraine was an act of genocide. Professor James Mace is no longer among us, but his works remain. They will help us to accomplish our goals.